“Where gospel values and academic excellence come together.” This is the Butler Catholic School motto, and it is so much more than a simple phrase. It is the heart of our school, and the hallmark of Catholic education; the integration of faith and learning. It is the unique opportunity and privilege of our teachers to foster an educational environment that stimulates both character development and respect for one another, while challenging students to achieve their highest academic potential. We invite you to learn more about Butler Catholic School at our upcoming Open House Events. At the Open House you will receive a personalized tour of the school, talk with our teachers, get to know our current students and families, and meet the principal. Visit us and discover the difference a Catholic education can make in the life of your child! Bussing is available from 7 different school districts for Kindergarten through 8th grade students. 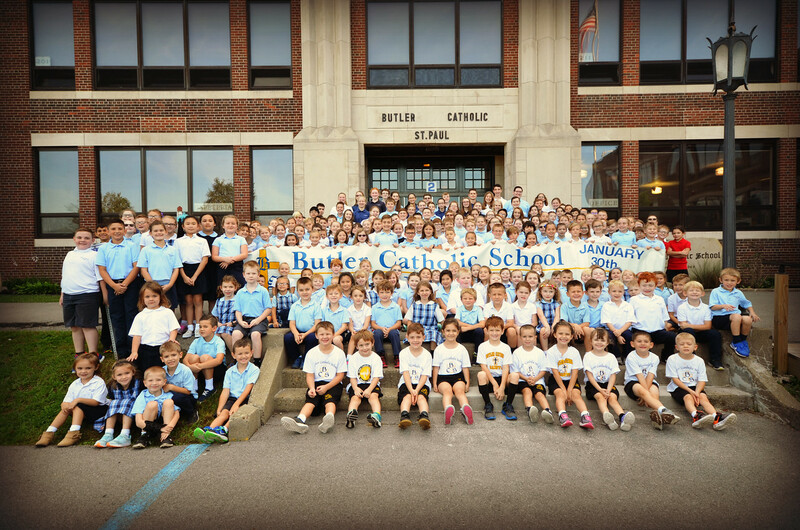 If you are unable to attend Open House, or would like more information about Butler Catholic School, please contact Christine Swift, Director of Marketing, at swiftc@butlercatholic.org.